On the occasion of the 5th International Congress of Lichenology held in Tartu (Estonia) in August 2004, the International Association for Lichenology (IAL) introduced and presented the Sylvia Sharnoff Education Award. 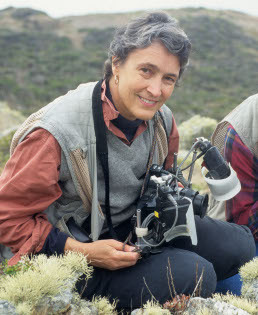 The Award is dedicated to the memory of Sylvia Duran Sharnoff Sylvia Duran Sharnoff, a remarkable lichen photographer, who conceived of the idea of a colour-illustrated, popularized but scientifically accurate treatment of the lichens of North America and, with her husband, Stephen Sharnoff, produced almost 1000 superb lichen photographs for the book. The award will be given at each meeting of the IAL to an outstanding educational web page devoted to lichens, prepared by a student or school at pre-university, university or graduate level (in any language). Any aspect of lichen biology used in an educational program would be acceptable. The main evaluation criteria will be: aesthetic appeal, clarity, educational impact; lichenological accuracy, useful links, and practicality for the targeted age group. Recipients of the Sylvia Sharnoff Award will receive an award to be determined by the IAL Council, and the web site will be publicized and linked on the IAL web page.